Magnolia Pictures has released a trailer for the upcoming documentary Evocateur: The Morton Downey Jr. Movie, which focuses on the career and show of the late, controversial 1980’s talk show host Morton Downey Jr., considered by many to be the pioneer of trash television. 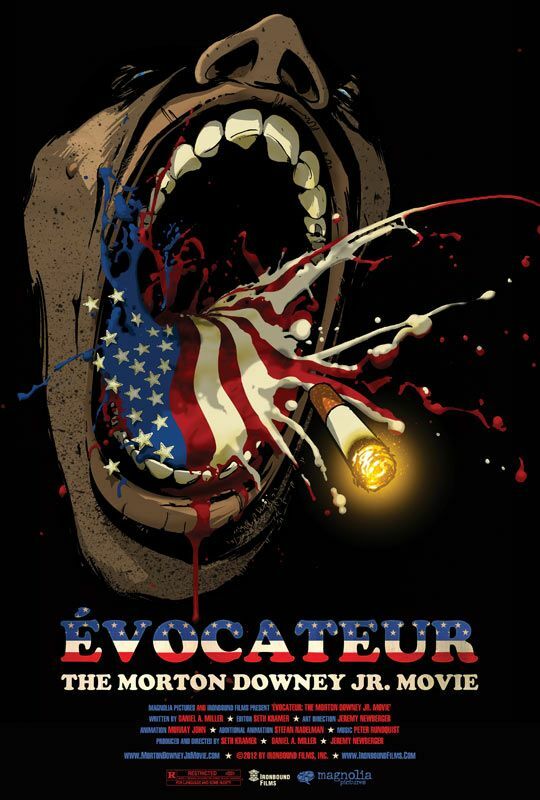 Evocateur, directed by Seth Kramer, Daniel A. Miller, and Jeremy Newburger, will tell the story of Downey Jr.’s rise and fall as an in-your-face, derogatory talk show host who trail blazed a genre of controversial reality talk shows, like Jerry Springer and Maury. The Morton Downey Jr. Show featured Downey chain smoking, insulting his guests, and often inciting them to physical altercation with one another. Not only was he the father of a genre of reality tabloid television, but his personality also made him a fixation before television shows were based on popular personality. The film is set for theatrical release on June 7th. Hit the jump to watch the trailer and read more details. Love him or hate him, chances are, you won’t be bored by watching this film. The film’s trailer showcases plenty of Downey Jr.’s crude gestures, guest fights on the show, and rowdy behavior from the show’s crowd, notoriously labeled, “the loudmouths.” Known for documentaries such as Food, Inc. and Jesus Camp, Magnolia Pictures looks to be distributing yet another fascinating film in Evocateur.